THE journalist behind a controversial report about New Zealanders being kicked out of Australia has defended his work after his story exacerbated a diplomatic furore between the two nations. Peter FitzSimons' report on the ABC's Foreign Correspondent on Tuesday night copped major backlash from Coalition ministers, who argued the program failed to interview the victims of violent Kiwis deported from Australia. More than 1300 Kiwis have been deported from Australia - for committing crimes or being found to be of bad character - in the past three years, with another 15,000 set to be sent back over the next decade. FitzSimons, who was the guest reporter on the program, has defended the investigation, saying it was a legitimate story that sparked a "big response". "The audience is free to react as they see fit. The program started with a strong audience and increased from there, so there is no doubt the level of interest in the subject," he told news.com.au. "Immigration issues bring out strong feelings and the fact that criminals were featured in the program was bound to elicit criticism. "But when you have 1300 Kiwis sent back over three years, and only nine Australians coming the other way, it is a legitimate story, particularly when you have such strong comments about it from New Zealand ministers." The strongest comments came from New Zealand Justice Minister Andrew Little, who said harsh deportation laws meant Australia "doesn't look like (New Zealand's) best friend, our nearest neighbour". "Look it might suit Aussie politics and it seems to me there is a venal political strain to all this," he told the program. "Some Aussies obviously like this but it's not good for those people and it's certainly not consistent with humanitarian ideals I thought both countries once shared." 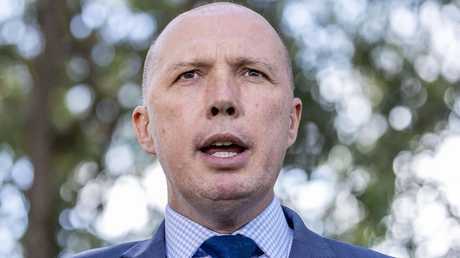 Mr Little's remarks sparked a harsh rebuke from Australia's Home Affairs Minister, Peter Dutton, who told 2GB he found the comments "disappointing". "There's a lot that we do for New Zealand … New Zealand don't contribute really anything to the defence effort that we've got where we're trying to surveil boats that might be on their way to New Zealand," Mr Dutton said yesterday. "So I hope that Andrew Little reflects a little more on the relationship between Australia and New Zealand where we do a lot of the heavy lifting." Home Affair’s Minister Peter Dutton hit back at the comments on Thursday, suggesting New Zealand Justice Minister Andrew Little should think more carefully before speaking, and reminding the minister of Australia’s role in border security. Earlier in the week, Assistant Home Affairs Minister Alex Hawke, complained the ABC "did not consider the impact on victims", but FitzSimons said the show chose to focus on the deportees because they were "emblematic of the whole - problematic people, who are not Sunday school teachers". 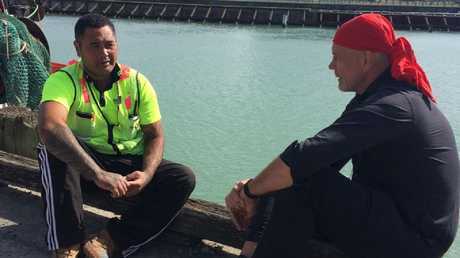 Foreign Correspondent followed the cases of three deportees, including former New Zealand soldier turned motorcycle gang member Ko Haapu. FitzSimons said the whole point of featuring Haapu was that he was "held without charge for five months". "For us to interview a specific victim of Haapu, as Assistant Minister Hawke suggests, we would need to know some specific crime that Haapu has been charged with, and we don't," he said. "In the case of Sean Wynyard, we had many interactions with his wife, and she made it clear she had forgiven him, and wanted him back, as do her children, but she declined to be interviewed. "Anthony Miller was convicted of pushing drugs, for which he served time. Again, his was not a case of specific victims having grievances. "We made no bones about their general roughness and criminality of two of them." 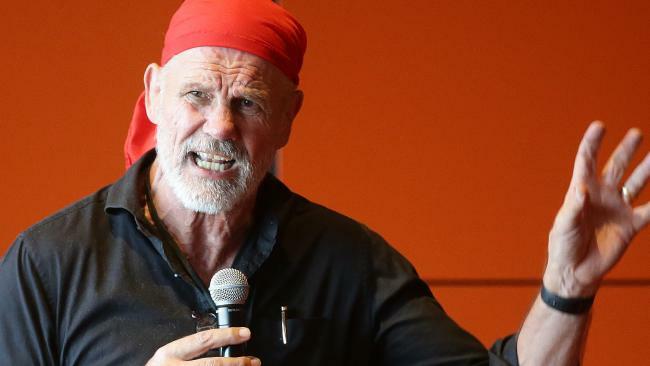 Journalist and former Wallaby Peter FitzSimons, who was the guest reporter on the program, has defended the investigation saying it was a legitimate story. He is pictured talking to one of the three deportees featured in the program — Ko Haapu. FitzSimons said there was "deep concern" in New Zealand about the policy. "A widespread feeling among the Kiwis is the unfairness of it - the idea that with long-term Kiwi residents in Australia, whatever criminality they have developed is of Australia's cultural making, and they've effectively if not technically become Australians - and yet we are suddenly dumping them back on New Zealand's shores," he said. 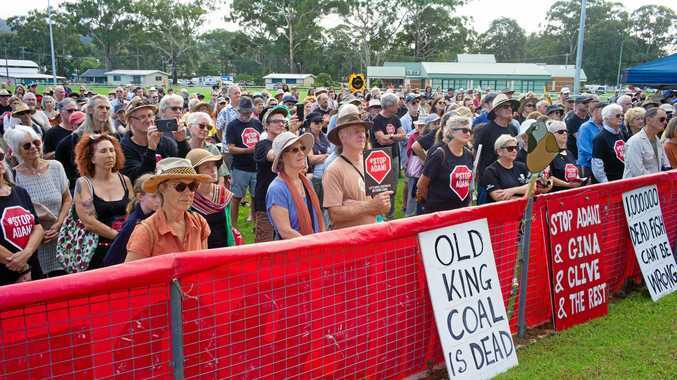 "Many Australians are not aware of the issue at all and a prime-time, high-profile program taking a look at the issue and allowing both sides to have a say should be welcomed." The program, entitled "Don't call Australia home! ", investigated why Australia was "detaining, cuffing and deporting more New Zealanders than any other group" and it had strained relations between the two countries. "They are now sent back to New Zealand because the only citizenship they've got is New Zealand citizenship and many are being sent back here with no real connections no real networks, no real support, so the problem is just being compounded," Mr Little told the program. Hundreds of New Zealanders have had their visas cancelled in Australia since changes to the Migrants Act in 2014 brought upon stricter deportation laws. Earlier this week, Mr Hawke also expressed his "disappointment" in Mr Little's claims. "Disappointing to see the NZ Justice Minister fail to use his TV appearance to remind people who are NZ citizens here to obey the laws of Australia," Mr Hawke said in a post on his Twitter account. "Obeying the law and not committing serious offences is the best way to not be deported." The Coalition minister also criticised the program for failing to interview any victims. "I watched the entire program, and I have to say I felt the ABC program did not consider the impact on victims," Mr Hawke told Sky News. "There wasn't a victim on the show, and what we're talking about is serious criminal offences. "In the domestic violence cohort I can tell you, there are sexual offences against women in front of their children in many cohorts in different parts of the world in Australia, and they're serious, serious offences." A spokeswoman for the ABC told news.com.au there was no attempt on behalf of the program to downplay the seriousness of any of the crimes. "It's true the deportees were convicted criminals or had been judged to be of bad character, and are hard to empathise with, but their cases do raise some difficult questions of principle - for example, whether it is correct to keep someone in prison for a long period without charge or conviction, and whether it is fair to deport and separate from their family someone who has done their jail time and officially paid their dues to society," the spokeswoman said. She said the intent of the story was to reveal to the Australian audience "the depth of feeling in New Zealand" about Australia's policy. "We were surprised by the level of anger and felt it warranted reporting, given that it potentially impacts on our relations with such a close neighbour and ally," she said.